- - Who benefits from the Afghan Opium Trade? Able Danger premiere at the Tribeca Film Festival? Are the programmers at Tribeca committed to advancing a 911 agenda? They have developed a '911 Category' at the Festival this year and The film Able Danger has been entered to this year's festival and would be an obvious pick. It is a noir homage 911 conspiracy theory femme fatale driven noir thriller filmed in New York, Brooklyn, Tribeca and based around a New Yorker Patriot who runs a little cafe-bookstore-micropoublisher (http://voxpopnet.net/) in Flatbush. 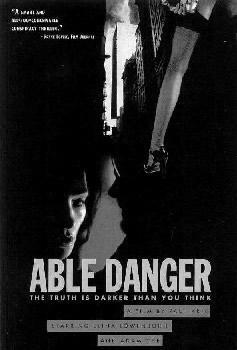 Able Danger played in Rotterdam to 3 sold out shows of 400 in attendance and the Q&A with the director went on until the movie theater had to shut it down. Now you could say that the Dutch are just smarter than the Americans, but I don't think so. A new 9/11 Truth-inspired (?) film called "Able Danger" will have its world premiere at the International Film Festival in Rotterdam (The Netherlands) next week. A military analysts' chart did not identify hijackers beforehand, senators report. WASHINGTON — The Senate Intelligence Committee has rejected as untrue one of the most disturbing claims about the Sept. 11 terrorist strikes — a congressman's contention that a team of military analysts identified Mohamed Atta or other hijackers before the attacks — according to a summary of the panel's investigation obtained by The Times. In particular, Weldon and other officials have repeatedly claimed that the military analysts' effort, known as Able Danger, produced a chart that included a picture of Atta and identified him as being tied to an Al Qaeda cell in Brooklyn, N.Y. Weldon has also said that the chart was shared with White House officials, including Stephen J. Hadley, then deputy national security advisor. ...What changed between 2004 and May 2006, when a federal grand jury in Washington DC was presented with evidence obtained by cell phone wiretaps of Weldon’s family and associates, an indication that US intelligence agencies had been interested in the congressman for some months? During the summer of 2005, Weldon, vice-chairman of the House Armed Services Committee, revealed the existence of a secret Pentagon counter-terrorism operation codenamed Able Danger, which he claimed had identified Mohammed Atta, alleged ringleader of the 9/11 attacks, as early as 1999. It has been widely reported in Europe that Atta was known to US intelligence agencies and was actually under FBI surveillance in Germany in 1999, a circumstance that undermines the incessant Bush administration claims that the 9/11 attacks came out of the blue and that the US government had no idea before September 2001 that Al Qaeda terrorists were in the United States planning terrorist attacks. This information has been largely suppressed in the American media, and the existence of Able Danger was covered up by the official 9/11 Commission in order to sustain its whitewash of the role of US military and intelligence agencies in permitting and even facilitating the attacks. He has questioned and pursued a cover-up of pre-9/11 intelligence in the Able Danger program, which identified supposed lead hijacker Mohammad Atta as an al Qaeda operative in the Bronx area during the year 2000..."